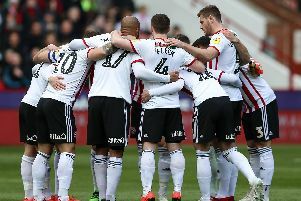 Anything you can do…Sheffield United’s much-heralded youth system has produced an entire squad of stars over the years from Jags to Brooks. But just look across the city at what they are preparing to turn out at Hillsborough. Those that know the club say that the lean years are over and the talent production line is rolling again. Ash Baker, Sean Clare, Alex Hunt, Connor Kirby, Jack Lee, Frederik Nielsen, Matt Penney, Fraser Preston, Jordan Thorniley to name a few. Chances are they won’t all make it but they’re all desperate to progress, and they’ll get their chance. We know there is talent everywhere, developing it has always been the issue. But a revolution is happening right now in English football. Look at the England set-up. For years we carried on our old-school ways, throwing the odd youngster into a star-strewn squad riven with rivalries and stuffed with square pegs. Now we have a system, a way of playing, training and winning, from schoolboy to senior pro. With England’s recent titles at U17 and U19 levels, those players are now starting to emerge into Gareth Southgate’s first team. In the next 10 years Real Madrid, Bayern Munich and Barcelona etc will be paying big money for some of these lads - unless we keep them happy by building English club teams around them. They will be good enough. For decades we have envied the German way, the Italian system and the French talent academy at Clairefontaine. Now we have our own at St Georges and the academies. A revolution is happening right now in English football and Sheffield has to be at the heart of it. *Who’s tsaid this? : “I hate all this 'isn't it great be be involved at the top end of the league' and all that rubbish. I hate it. It's a nonsense because football is only great if you win." Tough words from a tough man, but words that tell you why Chris Wilder’s Sheffield United are second in the Championship, are improving on last year and took part in one of the games of the season at Derby on Saturday.. They lost, Wilder knows why and he’s going to tell them.